Huang’s lab previously identified a family of proteins that restrict highly contagious viruses including SARS, the flu, dengue virus and West Nile virus from viral replication at the early stage of infection. The new study focused on HIV-1, the most widespread version worldwide. 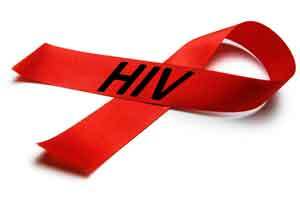 HIV can be classified into R5 and X4 viruses. R5 viruses are exclusively associated with primary infection, and X4 viruses emerge in later stages of HIV diseases in half of HIV carriers. Detection of X4 is an indication that the patient’s HIV infection has progressed to a very toxic state. The Huang Lab identified a novel variant within the previously identified family of proteins. They nicknamed it “Delta 20,” an immune system protein that suppresses the most damaging HIV strains, X4, by preventing the virus from infecting cells.